← Some thoughts about digital distribution. So. 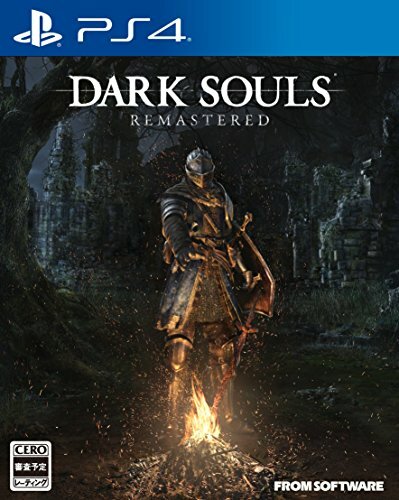 Dark Souls: Remastered comes out tomorrow, and I preordered the PS4 version ages ago. Of course, between people who got their copies early and people who bought the PC version off Steam when it launched early, there are an awful lot of people already playing it and posting about it online. I have commented in the past that one of the best things the Souls games teach is patience, so it is ironic that I am have been champing at the bit all day to get my hands on my copy so I can tear into it. I confess that I checked the mailbox a couple of extra times just in case it had showed up. This is not, by any definition of the word, a great display of patience. So, when I got off work tonight, I decided that I was going to load up the original release of the game and mess around with a few different weapons that I’d picked up on my first play-through. 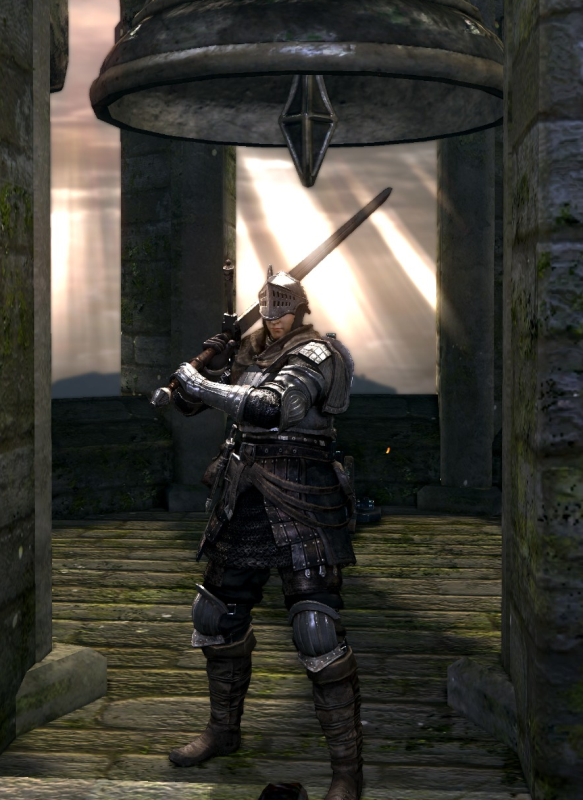 I went into Dark Souls fresh from playing through Demon’s Souls, and I had pretty much made exactly the same sort of character in both games – a lightly-armored, dex-heavy character who spent 90% of her time hiding behind a shield. …and that was EXACTLY what I had done last time, come to think of it. So, I went through my Bottomless Box looking for other weapons that you can get early on, and I stumbled across the Zweihander. I’ve never been a Big Damn Sword person. Frankly, running around with a slab of iron that would make Cloud Strife blush seems just a little… brutish? Not terribly appealing, anyway. BUT. I’ve seen an awful lot of people who absolutely rave about the Zweihander, and it’s not quite as ridiculous as the Ultra Great Swords, so I figured, you know, what the heck. I’ll give it a try. Several dead Black Knights later, I was in love with the thing. I just wasn’t sure that it would actually work at low levels, so I was a little nervous about committing to going for a Big Damn Sword build. I don’t remember if you can respec in DS1 or not, but memory is telling me that it’s Not A Thing. Then, I remembered that I’d tried to get a friend interested in the Souls games by setting him down in front of my PC with a controller, and that I’d been shocked by how far he’d gotten with what seemed like a lot less effort than I’d had to put in… and his saved character was still sitting in the Undead Burg at like level 9. …and then I blew through both of the early Black Knights, and the Taurus Demon, and the Bell Gargoyles, and let Lautrec out of his cell and pushed him off a cliff before he could go murdering anyone and frankly I had to stop there because I probably should leave some of this for when I actually have the game I’ve been so impatiently awaiting. It will be here tomorrow. It had better be. This entry was posted in Gaming, PC Gaming, Souls. Bookmark the permalink.